October 2, 2018 / Bree / Comments Off on Salesforce HEDA and RIO Education: How are they related? Let’s start with what is HEDA? Higher Education Data Architecture (HEDA) is a Salesforce application built and tailored for Higher Education. With community-driven data architecture designs providing a foundation for your business to achieve a connected campus. In Salesforce, HEDA uses accounts, contacts, relationships and affiliations. HEDAs sole purpose is to provide effortless tracking of students and course enrollment. Click here for more on HEDA’s features and what is HEDA. How are HEDA and RIO Education related? Now that we know what HEDA is, what is RIO Education? RIO Education is our Student Management System, built in the Salesforce Platform using the HEDA model. Designed for Australia’s Higher Education providers to track all student information. RIO Education allows you to manage your entire education process from application to graduation – all in one system! 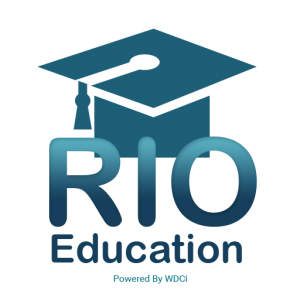 What are RIO Educations features? Stay tuned for our next blog on why you should use the HEDA model and what it can do for your business.